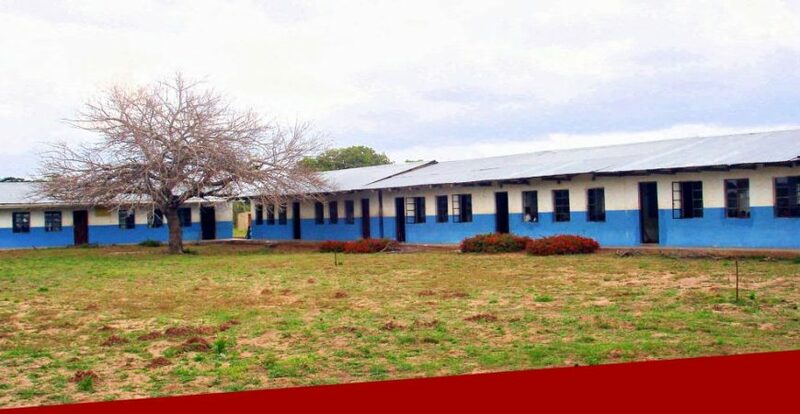 Mudula school in the rural heart of Kwa Zulu-Natal teaches children aged 5-14 years, most from socially poor communities in the area. Though Government assisted, limited grants barely provided basic facilities in 2006. Many children walk 15km to get to school & the lunch provided is often their only meal of the day. 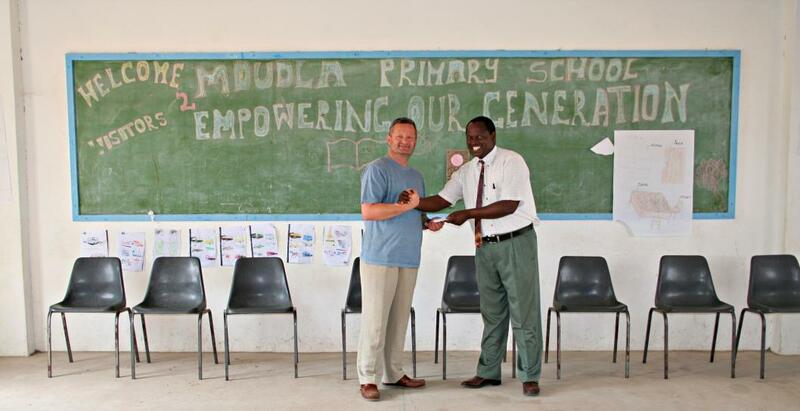 But headmaster Mr Sangweni and his staff have an inspiring passion to help their pupils get a better chance in life through access to education. Mdudla was PF’s first solo project in South Africa. 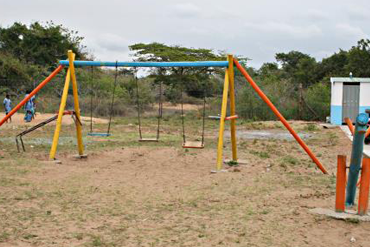 2006 – 2007: PF funded playground equipment to provide physical activity for the energetic younger pupils. 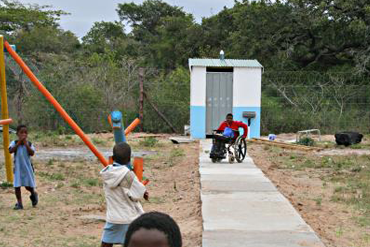 2008: Funds were used towards installing more toilets, including one specifically for pupils in wheelchairs. 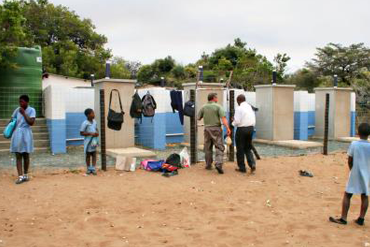 2009: an outside shower block was completed, giving access to washing that many pupils didn’t have at home. 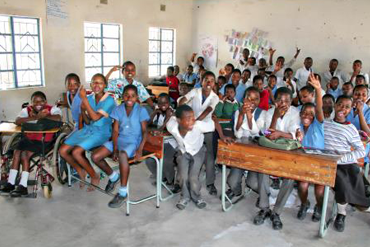 50 desks and chairs were donated in 2008 in response to a request for help with classroom shortages. 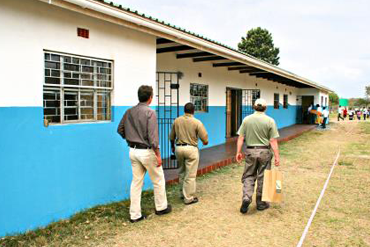 2009: PF funding helped complete the building of an admin block for the teachers, now the engine room of the school. 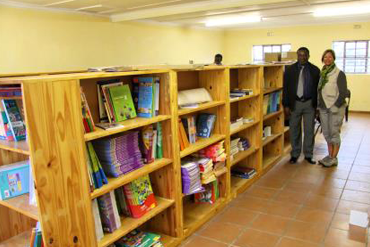 Within the admin block a room was made into a library and by 2012 this was well stocked with donated books.